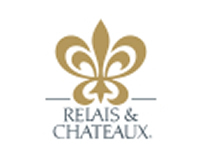 For 60 years, Relais & Châteaux has elevated art de vivre to a 10th art! Their Chefs and Maîtres de Maison are delighted to welcome you to a world shaped by their personalities and passion. They’re committed to offering hospitality in unique places. The Blue Book Association was formed with a desire to provide a hospitality map of Ireland bringing visitors to the doors of the finest restaurants, country houses and hotels in the country. The common thread between all is a warm welcome, gracious accommodations and a lasting experience. Historic Hotels Worldwide promotes heritage and cultural travel by featuring a prestigious collection of historic treasures, including historic hotels, castles and other historical lodging properties spanning twelve centuries.